In addition to Base Lab Tools extensive line of solid aluminum optical breadboards, honeycomb optical breadboards and optical tables, we offer support systems for our honeycomb breadboards. 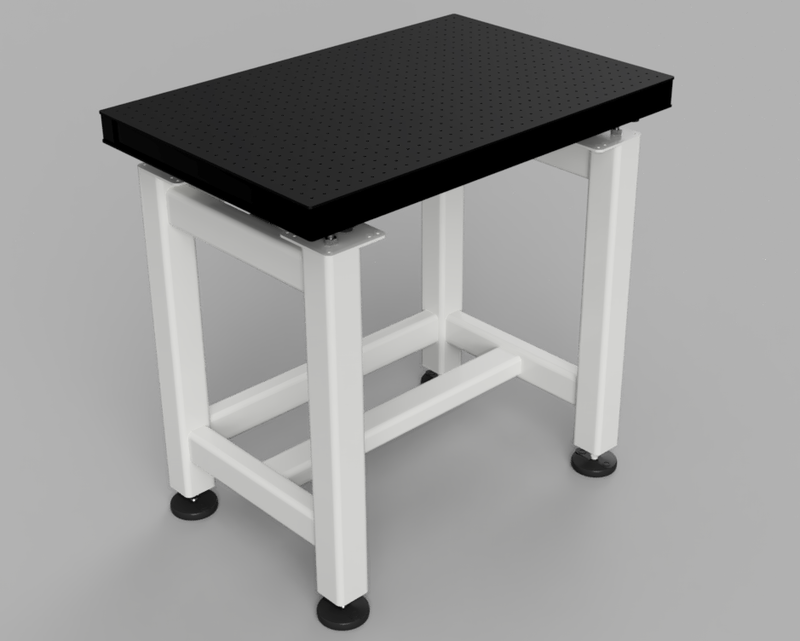 These breadboard supports are configured as workstations with an open front for both seated and standing use. Both rigid and vibration dampening versions are available. Rigid systems can support heavy loads up to 2,000 lbs while passive vibration control systems are offered for a wide variety of loads. All frames are of all welded construction with pivot-adjustable feet to allow for variations in your environment. Don't see what you want? Ask us, [email protected], we have done many modified versions of our support systems including light weight aluminum and extreme variations in size and support structure.